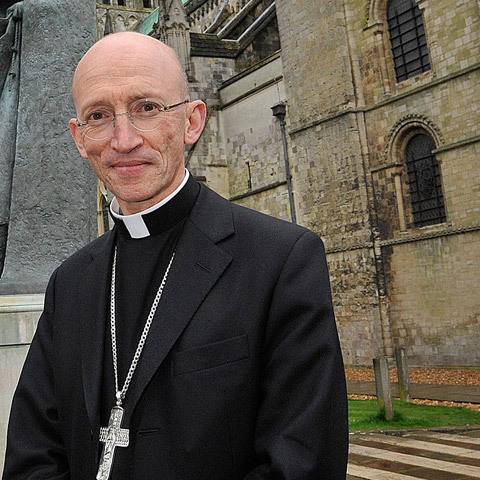 In an unexpected turn of events, Martin Warner, Bishop of Chichester, refused to unequivocally exonerate Bishop George Bell of allegations of child abuse, while addressing the Rebuilding Bridges Conference in Chichester. “We are not able to speak with any certainty in any direction,” Bishop Warner told a shocked audience on Monday. Maintaining that the Church of England’s internal investigation led by senior ecclesiastical lawyer Timothy Briden had cleared Bishop Bell only of the second set of allegations, the recent Briden report “made no statement about the original allegations,” Warner said. “Bishop Bell cannot be proven guilty. We ask those who hold opposing views to recognise the strength of commitment to justice,” Warner added. “Lord Carlile’s report opened up new areas revealing failures from the past. The phrase I used is that ‘we are not able to speak with any certainty in any direction,’” Warner insisted. Voices from the audience reminded Warner that the Briden report did not deal with the original allegations against Bell made by an unidentified woman known only as “Carol” only because the Church of England had set specific terms of reference, explicitly excluding “Carol” from its internal investigation. Moreover, Lord Carlile, in his earlier investigation had concluded that the case would not have gone to court, let alone found Bishop Bell guilty. “Salisbury Cathedral celebrated the Magna Carta, but we undermined it,” the same member said, noting that the Established Church was contradicting the position of prominent legal figures. Another conference member challenged Warner regarding “Carol’s” allegations, which he said had to be balanced against the principle that everyone is innocent until proven guilty. “Bishop Bell is innocent—most here are troubled because the idea of innocence until proven guilty touches everyone. We are defending a tradition here,” he added. Rebel Priest media has contacted Bishop Warner asking if he would be willing to, once for all, put on record his statement declaring without any qualification the innocence of Bishop George Bell and uphold the ancient judicial principle of “innocent until proven guilty.” The Bishop of Chichester’s office has not responded. Next articleAnglican Unscripted 484 – It’s 3pm… do you know where AU is?